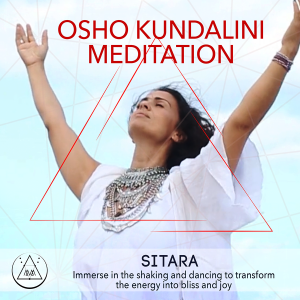 Osho Kundalini Meditation is a technique that will transform blocked energy into bliss and joy. By allowing the energy of totality to express itself by shaking and dancing the awareness will happen by itself. A beautiful meditation to experience the Here and Now. This Active Meditations have been scientifically designed by Osho to enable us to consciously express and experience repressed feelings and emotions, and learn the knack of watching our habitual patterns in a new way. It is a very easy way to stop the mind and just being! In Kundalini Through the breathing and dancing the body-mind -spirit join and then it happens… all thinking stop. Come and join the art of letting go!